Commercial audio visual technology can include all the elements we interact with at work in an audio or visual way. Music as well as lighting is important in creating the ambience required in certain situations: in retail stores, in hotels + restaurants, in offices, in some manufacturing facilities. A multi zone audio system will allow the choice of multiple sources for content, and allow different zones of a building to operate independently. It forms an important part of any commercial audio visual system. Boardrooms or meeting rooms may require integration of a number of commercial audio visual technologies to allow for the rooms to be used for different purposes e.g. presentations, video conferencing, seminars and so on. In many companies, the trend is to ‘replace’ traditional style meeting rooms with “huddle spaces”. Huddle spaces (or huddle rooms) are often used for “on the fly” catch ups, as well as more formal, pre-scheduled meetings. 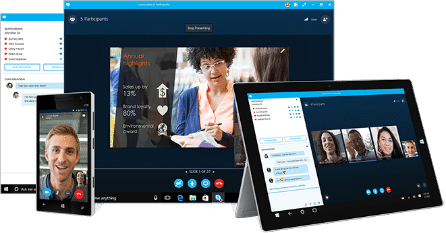 Collaboration technology allows BYO (bring your own) devices to link wirelessly, and enables sharing of documents, presentations, tables etc with those physically present, and those joining the meeting from remote locations. The audio system may need to allow for a hearing loop and integration with handheld or wireless microphone. Visuals displays such as screens or monitors will likely need to have internet access, TV reception, and be viewable from anywhere in the room. Again these all have a part to play in your commercial audio visual system. Rooms may operate individually for multiple meetings, or they may have dividers that can be opened to allow them to operate as a single larger room. The commercial audio visual requirements and integrated controls will need to allow for all options.